If you have been considering installing underfloor heating in your home, then find out what the benefits of underfloor heating are in our blog post. However, you should know that our services are available across Verwood, Dorset, Ringwood, Alderholt, Ferndown, West Moors, Ashley Heath, Bournemouth, Poole and Christchurch areas. So, if you're ready to get in touch, just give us a call on, 01202 802281. Below are just a number of the benefits of underfloor heating. Hopefully you find out blog post helpful for if you're thinking about installing underfloor heating. You should also know that you can contact us using our additional contact details at the bottom of this page. Underfloor heating is great for the layout and design of the room in which its installed in. How? Well, by installing underfloor heating you have no radiators to worry about. Believe it or not, removing radiators for underfloor heating could mean that there has been more space created in the room. Also, underfloor heating can work with different kinds of flooring from laminate, wood and carpet. 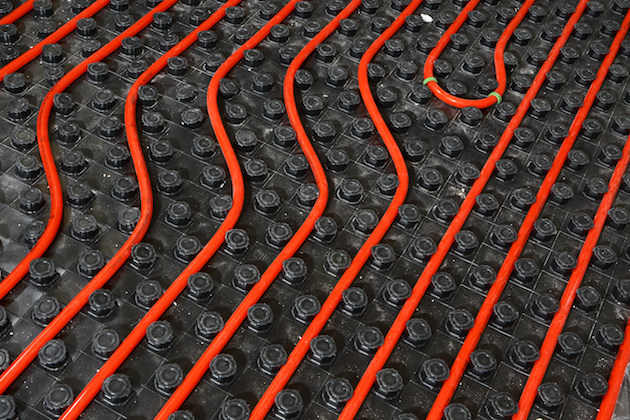 Moving on to low maintenance; underfloor heating can stay in good condition as they require very little maintenance. However, as for radiators, they can sometimes require bleeding to ensure they are operating efficiently. So, not only can you create more space and have a low maintenance option for your heating in a certain room, but you can also expect your underfloor heating to work well with little maintenance. On that note, now that you're aware of a number of the benefits of underfloor heating, why not get in touch using our contact details below. So, if underfloor heating sounds like the kind of option your home could benefit from, why not get in touch with us here at Tim Reynolds Plumbing, Heating and Gas? We offer underfloor heating services across Verwood, Dorset, Ringwood, Alderholt, Ferndown, West Moors, Ashley Heath, Bournemouth, Poole and Christchurch areas. This said, you can reach us by either giving us a call via our phone number on, 01202 802281 or sending us an email via our email address at, tim@timreynolds.co.uk. Alternatively, if you visit the contact page on our website, you can also send us a message via the contact form. Thank you for reading our blog post on the benefits of installing underfloor heating, we look forward to hearing from you.